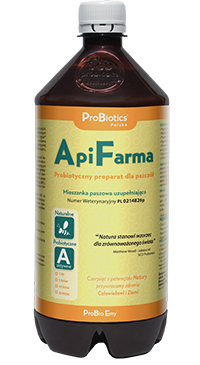 ApiBioFarma™ is a microbial product for bees prepared on the basis of probiotic Mother Culture SCD ProBio Original® and herbal additives. 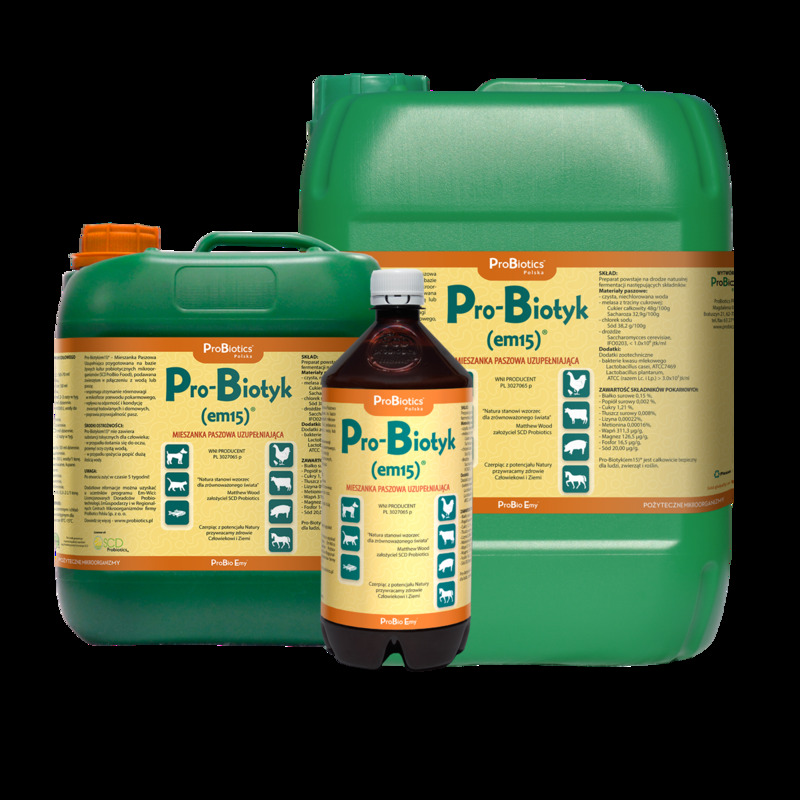 Manufactured in a natural fermentation process. Improved sanitary conditions in the hive. 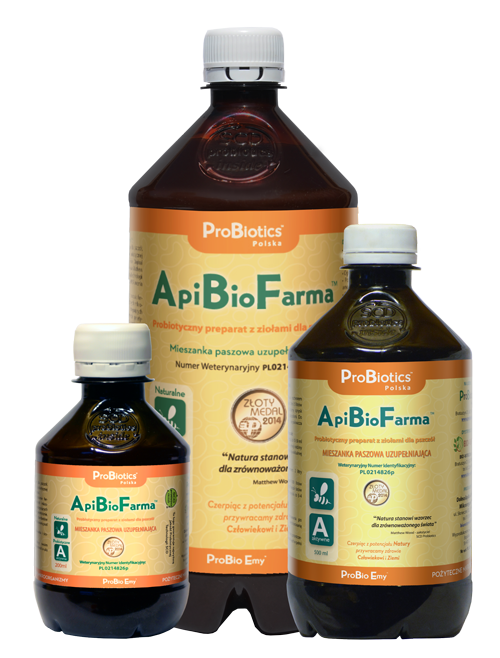 ApiBioFarma™ is ready to use after diluting it with healthy water. ApiBioFarma™ contains the following herbs: lemon balm leaf, rosemary leaf, sage leaf, walnut leaf, peppermint leaf, nettle leaf, anise fruit, black cumin, Artemisia abrotanum. 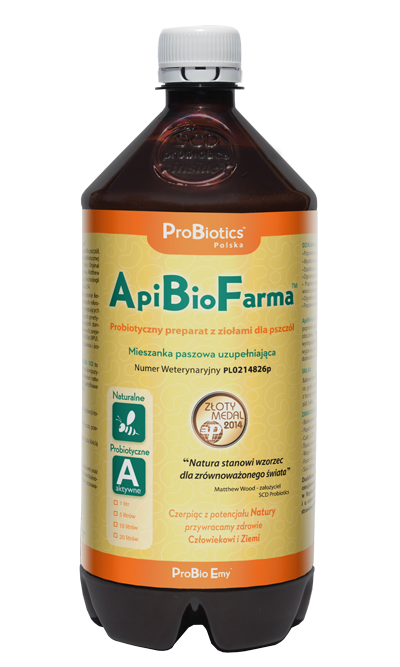 The MTP Gold Medal Contest Jury at POLAGRA PREMIERY 2014 chaired by Prof. Grzegorz Skrzypczak, Rector of the University of Life Sciences in Poznań awarded the MTP Gold Medal MTP to the Probiotic Product for Bees ApiBioFarma™.